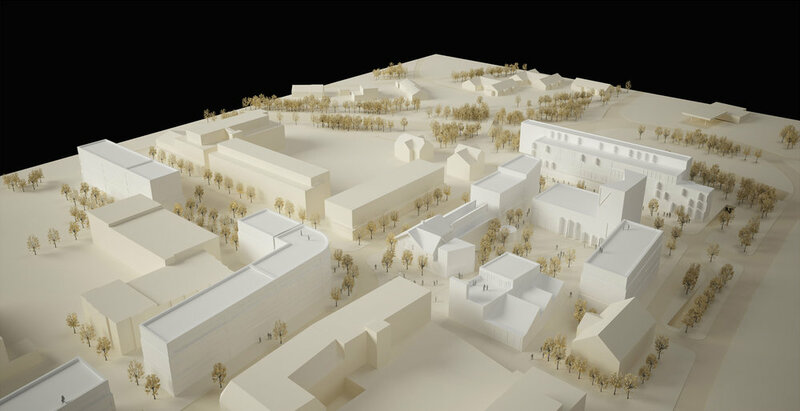 This project called for the regeneration of the centre of an historic University town in Norway, to include the careful integration of new student housing alongside the existing residential community and the introduction of new commercial and cultural amenities. 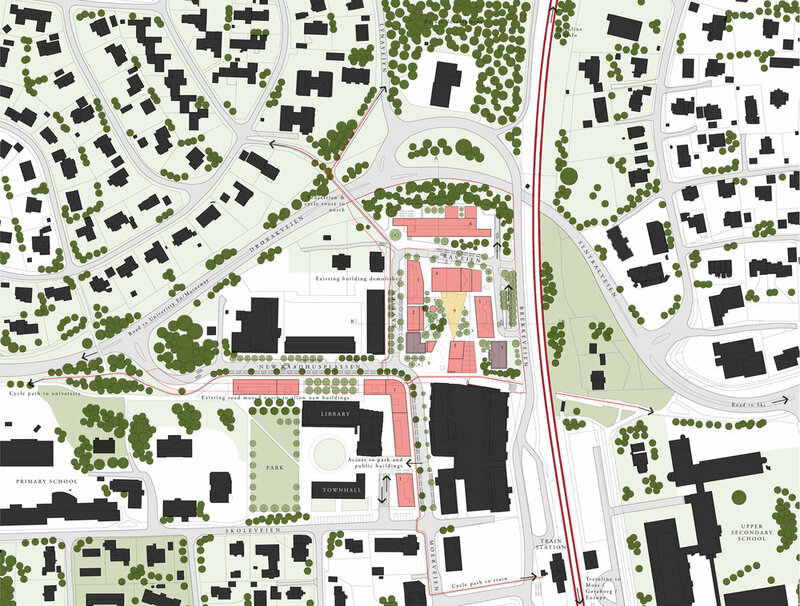 Our approach proposed a new town square, planted with trees. The previous large gaps between the existing historic buildings were filled with new medium density residential over commercial buildings. Two new public buildings were required, one at each side of the new square including the extension and conversion of the former historic home and of a well known Norweigan artist into a gallery and research centre and additionally a standalone arts centre. Arigho Larmour Wheeler have experience working on a number of large public buildings in previous practice.